By teacher request! Everyone has feelings, but you can make them easier for students to manage, identify, and understand with this unique product. (Use them in your resources as well!) This fabulous clip-art set features 4 bW/4 Color emotions. Clips are 300 dpi pngs. about 3" by 5". Love Illumismart ClipArt? SAVE big with a Lifetime License Access! Check out three different deals! CommUNITY Lifetime License! 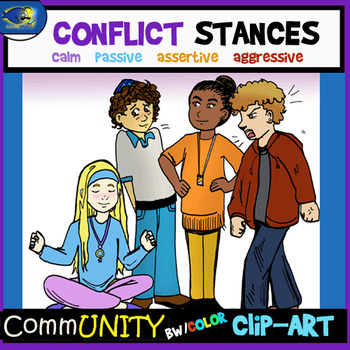 Past, Present, and Future of CommUNITY People Clip-Art! Illumismart's Lifetime License! SAVE BIG and Get it ALL! Past, Present, and Future of ALL Illumismart Clip-Art! Holiday and Seasonal Lifetime License! SAVE BIG ! Past, Present, and Future of ALL Holiday and Seasonal Clip-Art! Sets are also available individually-mad, sad, happy, surprised, conflict stances, and conditions. 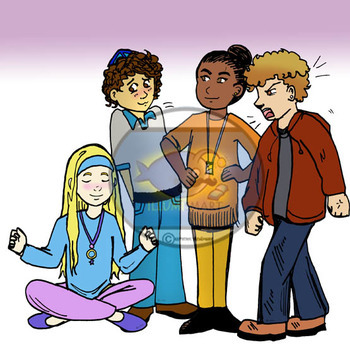 This clip-art set ( Emotions-Stances Clip-Art) may be used for personal, educational, and non-commercial use. You may use clip-art only for commercial use-however this applies only for products sold at Teachers Pay Teachers. (See terms below). These images can be used in products you create to sell at Teachers Pay Teachers. :) Please credit Illumismart in your product description comments OR anywhere within your product. Your choice! Please link back to my store! Images may be used in blogs or newsletters with text or graphic link back to Illumismart's Store. Please kindly keep in mind that as an artist and stay-at-home mom, my TPT income is incredibly important to my family. * Purchase of this collection gives you a single user license. Please do no sell, redistribute, distribute, or resell the graphics "as is", or as a part of any clip art collection. You also cannot add these elements into a clip-art collection.